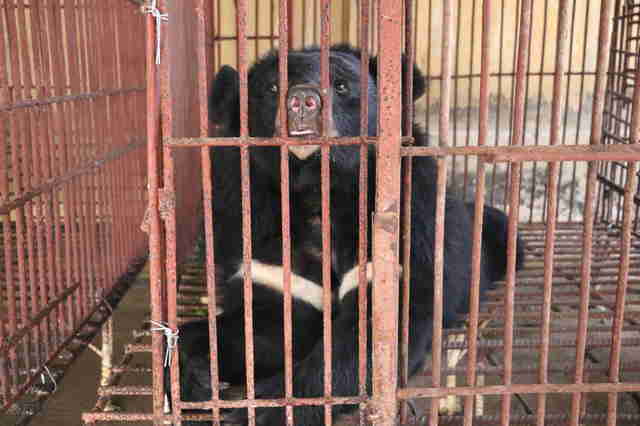 After 12 years behind bars at a "bile farm," it was the first good thing they tasted. Spoonfuls of honey and fresh fruit — these sweet tastes are what probably first signaled a major life change for six moon bears who spent about 12 years in tiny cages at a bile farm in Vietnam, eating rice and gruel between painful extractions. 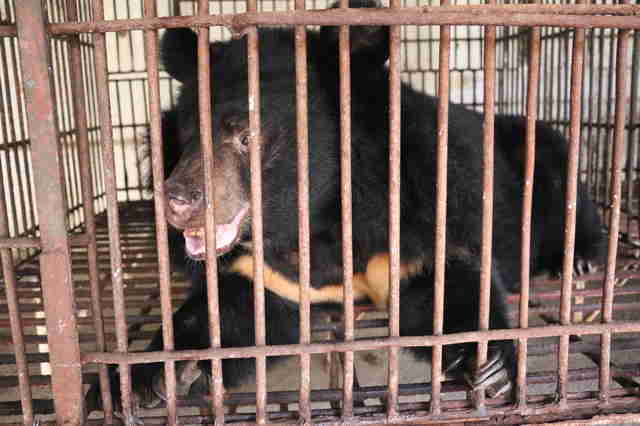 Bear bile is a digestive fluid used in traditional Eastern medicine and household products. Through open wounds, the bile is extracted from captive bears who often suffer from infections because of the painful process. Many die from complications. 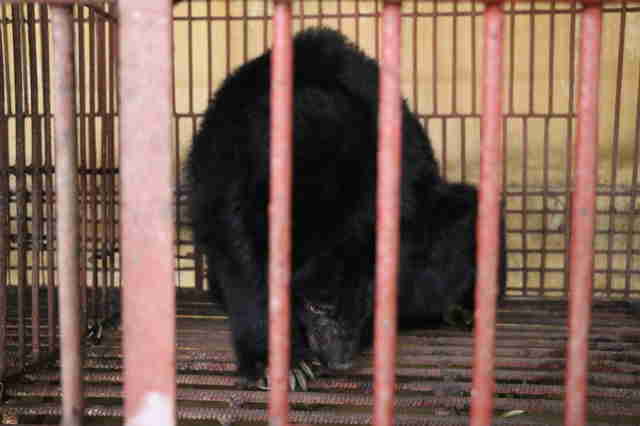 And even though bear bile farming has been illegal in Vietnam since 1992, the ban has been hard to enforce. Thankfully, a twist of fate has saved these six bears from languishing at the farm. 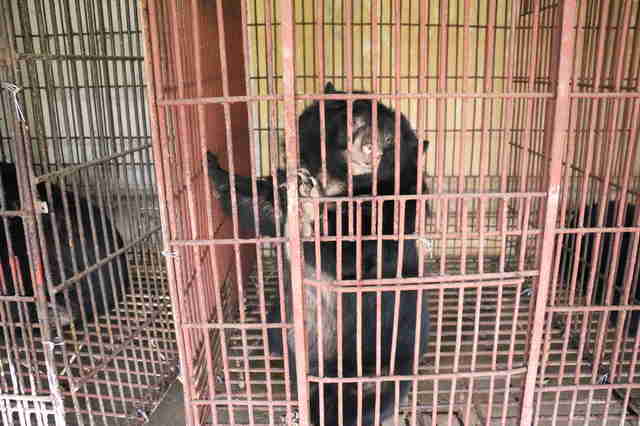 Rescuers from Animals Asia arrived for the bears last week. They gave them names — the three males are now named Mana, Tim and Manu and the three females are Anh Sang, Holly and Mia — and began the process of freeing them. 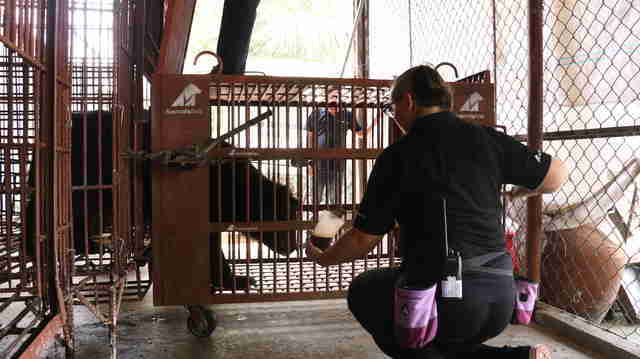 Veterinarians inspected the bears before the journey to Animals Asia’s sanctuary, the Vietnam Bear Rescue Center in Tam Dao National Park. Then rescuers used treats, like spoonfuls of honey, to convince the bears it was safe to walk out of their cages for the first time in years. 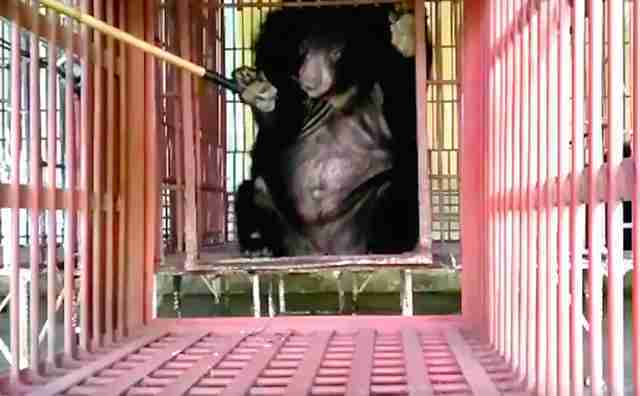 Once inside the transport crates, rescuers had to load them onto the truck, slated to drive the bears on the nearly four-day-long trip to their new home. "There were several stops on the way," Tuan Bendixsen, Vietnam director of Animals Asia, told The Dodo in a release. 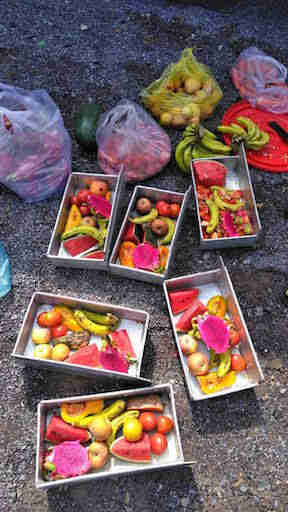 "This was to allow the bears to rest and be given water as well as watermelon, pumpkin, apples and carrots — likely to be the first nutritious food they’ve eaten in more than a decade." During the journey, rescuers got to know the bears better, gaining a sense of what kinds of care the animals will need once they arrive at the sanctuary. It appears that Mana is possibly blind — but he's in good spirits. "He has been enjoying the new food he has been introduced to and has been playing, nesting and chewing on the fresh leaves (known as browse) which the team have regularly supplied," Bendixsen said. 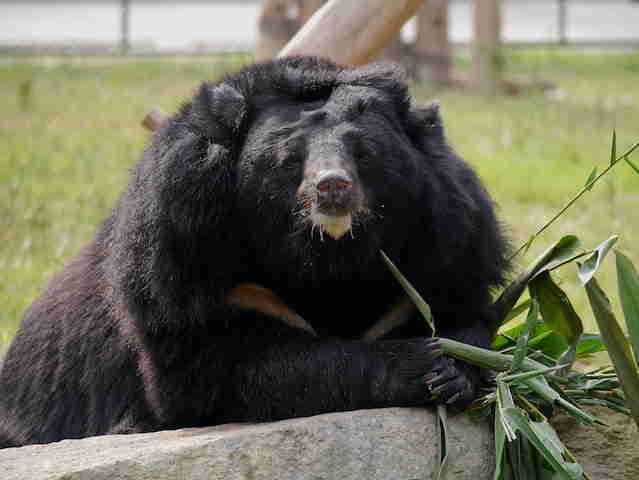 Mia seemed to be having some trouble eating and rescuers ascertained that this could be from a toothache, a common problem for moon bears saved from bile farms. "Rescued bile farm bears typically have damaged teeth — often from chewing on the bars of their cage — that require surgery to correct," Bendixsen said. "The team have been chopping up Mia's food into extra small pieces in the hope this will help her." Anh Sang was on edge when rescuers arrived — she even growled at them. As she continued on the journey to the sanctuary, she was still a little nervous but she growled less and rescuers remain hopeful that after some time at the sanctuary she'll feel calm again. "Soon, trust will be built and she will realize we are here to help," Bendixsen said. Holly is a heartbreaking case. She is missing two paws, one in the front and one in the back (while bear paws are sometimes amputated for “bear paw wine,” rescuers believe Holly's injuries are a result of being captured in the wild). And the journey seemed stressful for her. But when given enough space, she seemed to still have a strong spirit. "She won't eat while humans are around so the team have been careful to give her some privacy," Bendixsen said. "Luckily when no one is around Holly has been eating all her food — a sign of good health." Finally, on Monday, the bears arrived at the sanctuary. 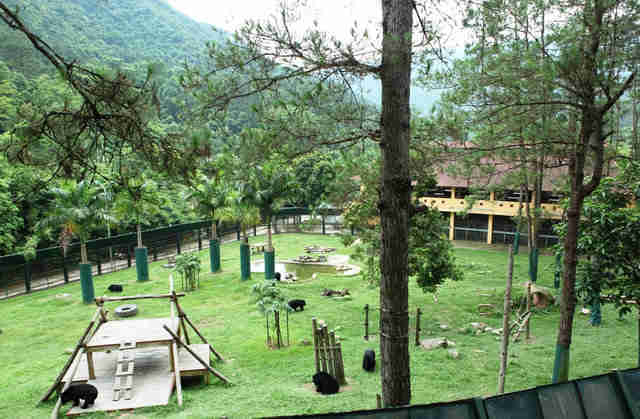 After a period in quarantine, they will meet other bears who have gotten fresh starts after being saved from bile farms. "They will be able to play, roll around, splash in pools and forage for food instead of living trapped in tiny cages," Bendixsen said. Staff at the sanctuary saw their arrival as a cause for celebration. 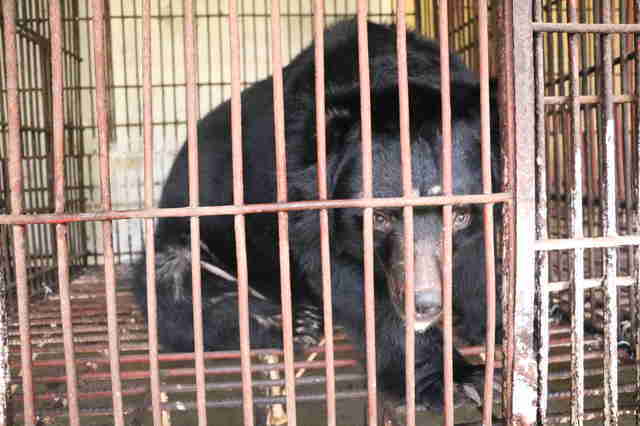 "Six bears have been freed from their farm cages ... They will no longer suffer in captivity, but are instead on their way to a peaceful life," Bendixsen said. Now, thanks to renewed efforts to enforce the ban on bear bile farming, bears like these six are gradually being removed from the bile farms across the country, which are finally shutting down. After all they've been through, it's about time these bears get to taste all the fruit and honey they want. 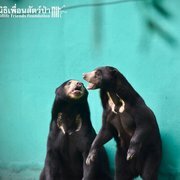 You can help welcome these beautiful bears to their new home by giving a gift to Animals Asia.